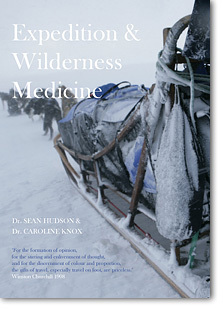 Well look no further – what could be better than the Expedition and Wilderness Medicine Handbook written by the guru on the subject, Dr Sean Hudson with contributions from other experts. ‘As I was reading this manual I found myself frequently exclaiming “God if only we’d have had this book back then!” I will be keeping it very close to hand on my next adventurous trip I can promise’. Remember if you sign up for an Expedition Medicine course you get a copy with EML’s compliments.